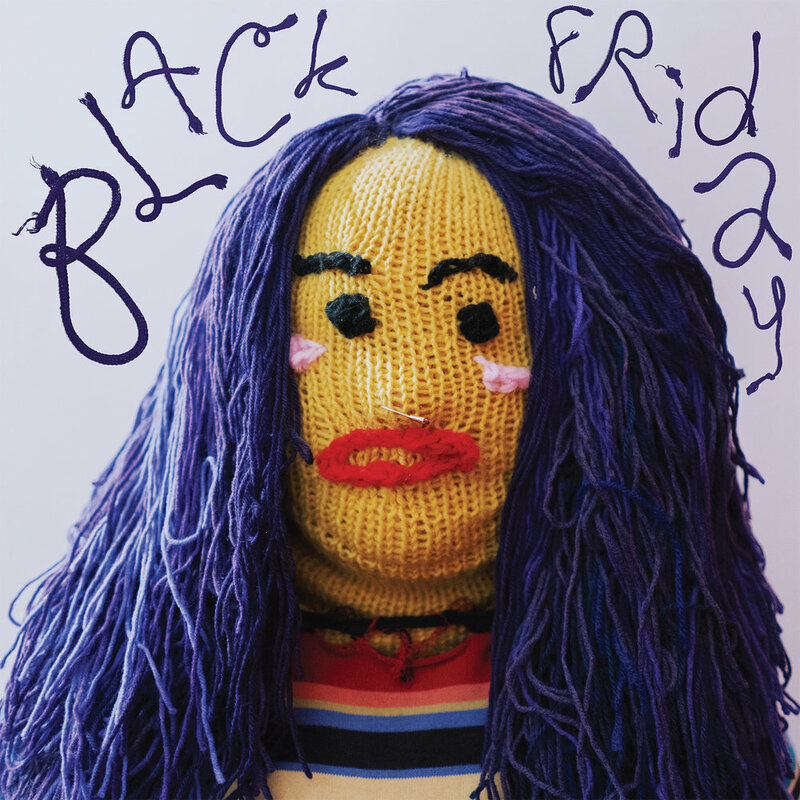 The third full-length from Boston-based trio Palehound, Black Friday is a finespun exploration of all the forms that love can take: love between friends, love for people no longer in your life, love in the face of self-hate, love that endures through major life changes or through many tiny catastrophes. With her thoughtful narrative voice, Palehound singer/songwriter Ellen Kempner imbues each song on the album with a radical sensitivity, an unchecked depth of feeling that ultimately sparks a greater open-heartedness within the listener. Co-produced by Kempner and Gabe Wax (Beirut, Soccer Mommy), Black Friday follows 2017’s A Place I’ll Always Go—a widely acclaimed release that landed on many year-end best-of lists. In creating the album, Kempner and her bandmates Jesse Weiss (drums) and Larz Brogan (bass) recorded at Panoramic House in Stinson Beach, California, tracking most of the songs live and breathing a new vitality into Palehound’s elegantly detailed sound. Unrestrained in emotion but subtle in sonic flourish, Black Friday opens with the stripped-back intensity of “Company,” the first of many songs conveying a profound longing for a lost friend. From there, Palehound shift into the joyful wonder of “Aaron,” a song Kempner wrote for her partner in the midst of his transitioning process. “It’s about the past year of him coming out and me helping him through that, and just watching him grow so much,” she says. With her hushed yet urgent vocals, Kempner reveals her ability to draw so much power from a single word, turning “Aaron” into an indelibly tender expression of devotion and love. Palehound examine the intricacies of friendship and partnership all throughout Black Friday, handling the subject with a level of attention rarely found in pop songs. On the quietly hypnotic title track, Kempner captures the specific ache of uneven emotional investment between friends, framing her plaintive acceptance in particularly barbed lyrics (“You’re Black Friday and I’m going to the mall”). And on “Worthy,” Palehound speak to the challenge of navigating self-confidence issues in relationships, and delicately showcase Kempner’s lyrical finesse (“And I’ve won over your mother, darling/And I’ve won over your sister too/And I won over your father, darling/And I still don’t feel worthy of you”). While much of Black Friday unfolds with palpable compassion, “Killer” takes on a vengeful mood as Kempner recounts a fantasy of doing away with a friend’s abuser. “It came from being so fed up with people who feel like they can take advantage of others sexually or physically or emotionally to get ahead or get what they want, and just wanting to destroy that culture in general,” she says. On the following track, Palehound continue their contemplation of abuse with “Where We Live”—a striking piece of spoken word from New York City-based poet Melissa Lozada- Oliva; its gritty yet dreamlike storytelling set against Kempner’s sprawling guitar work. In bringing Black Friday to life, Kempner spent much of her time holed up in the practice space she shares with a wrestling troupe, pursuing a songwriting process that’s often emotionally fraught. “For me songs usually start with some really strong anxiety or other bad emotion,” says Kempner. “I generally don’t pick up a guitar when I’m feeling super-happy.” Originally from Connecticut, she first started writing songs at age 10, several years after taking up guitar. “My dad wrote songs and played guitar and we’re really close, so I always felt inspired to make music too,” she notes. After playing in a punk band in high school, Kempner began putting out songs under the name Palehound at age 18, then released the project’s debut EP Bent Nail in 2013 and full-length debut Dry Food in 2015. Arriving in June 2017, A Place I’ll Always Go earned praise from outlets like Pitchfork (who hailed Kempner’s voice as “specific and visceral”) and NPR (who stated that Palehound’s “unflinching songs are also a celebration of life and embrace of love, and an empathetic reflection on how endings usually lead to beginnings”).